Finally, the Directives of the European Community haves implemented in Italy a legislation regarding the energy performance of new and constructed buildings according to the Decree-Law No. 63 of 4 June 2013. 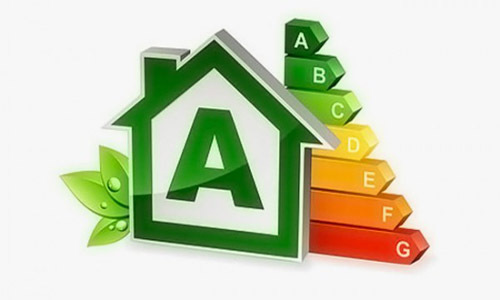 As of June 6th, while the obligation to attach the Energy Performance Certificate to contracts for the sale of real estate and leasing of new property remains, the Attestato di Certificazione Energetica (ACE) has been replaced by the Attestato di Prestazione Energetica (APE) under penalty of nullity of such contracts. (Please note, the National Council of Notaries published the first interpretative notes on this subject. The failure to attach the required APE to the contract will result in consequences such as that: – Nullity may be invoked by anyone and can be detected by the courts, – the action for a declaration of invalidity is not subject to prescription, – the void contract can not be validated. So this is a legislation that has a significant effect on the real estate) . The energy performance certificate is to be considered as a document that collects information on the energy performance of buildings. This document must be prepared in accordance with the rules contained in the decree and issued by qualified and independent experts. The attestation will also include information about the presence or absence of energy contributions from renewable sources, the estimated CO2 emission, the energy performance index for the air conditioning in summer and one for artificial lighting (both not yet required for residential estates), the climate zone and suggestions from experts to improve (and therefore reduce) consumption. The energy certificate is therefore a necessary condition for obtaining a series of tax incentives to renovate the buildings and improve the energy class. The APE has a maximum time validity of ten years from its release and is updated during each intervention of renovation or redevelopment which modifies the energy class of the building or building unit. for buildings used by public administrations and open to the public with a total used floor area greater than 500 m2. In the case of new buildings, the certificate is produced by the manufacturer. When confirming the performance of existing buildings, in accordance with the decree, the certificate is produced by the property owner. The APE must be made available for the benefit of the potential buyer or new tenant at the start of their negotiations and deliverance of the document at the end. In case of a sale or lease of a building before its construction, the seller or the tenant must provide documentation of future energy performance and present the energy performance certificate together with the declaration of completion of work. Keep in mind that contracts of sale or new leases of buildings or individual units must include a special clause stating that the buyer or the tenant acknowledge that they have received the information and documentation, including the certificate, in order to attest to the energy performance of the buildings. Since this consultation is done by a specialist, the cost of obtaining an energy performance certificate varies depending on the amount of items to be inspected, the square footage and the quality of the building. In most cases, the average is around 250-300 Euros for an apartment and 500 Euros for a house. Avoid lesser prices to ensure proper remuneration of time and expertise invested by the professional obtaining the certificate. classes Energy buildings include 8 classes of reference conferred in based on the primary energy needed to heat every square meter of living space.The energy is expressed in kilowatt-hours (kWh) and refers to a calendar year. The elements necessary to determine the energy needs required by the heating of a building are: first, the type of the heating system itself, followed by the construction materials used, the insulation, the type of walls, doors and windows that form the building envelope.